The Whitpain Police Department located this dog in the area of Skippack Pike and North Wales Road. 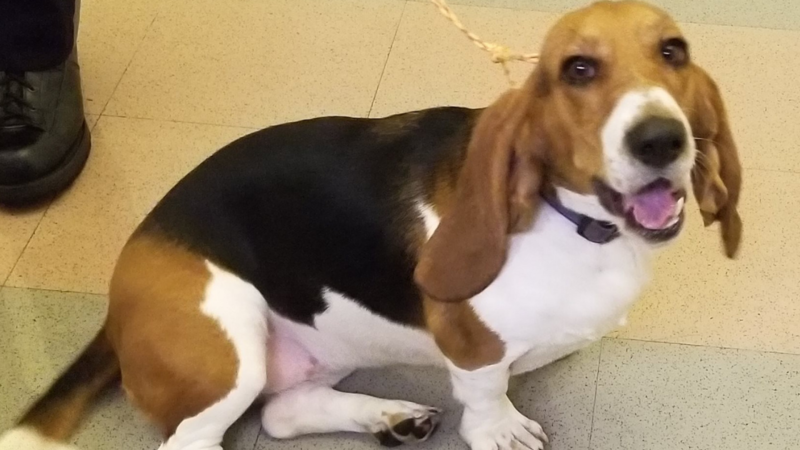 It appears to be a Basset Hound (female) wearing a purple collar with dog prints on it. If anyone knows who the owner of this dog is please contact the Whitpain Police at 610-279-9033. The dog is currently being held at the Montgomery County SPCA (610-825-0111).